In the past few months, since Hamas’ victory in Palestinian Authority elections and since the new government was established under Prime Minister Ismail Haniyeh, the situation in Gaza has steadily deteriorated. Government employees have not been paid, the transfer of goods in and out of the PA has been limited due to security threats, and reports of civilians suffering from hunger have proliferated. Colonel Peres acknowledged that he was fully aware of the criticism, both in Israel and abroad, that Israel’s offensive in Gaza was worsening the situation for Palestinian civilians, but he emphasized that Palestinians often present an exaggerated picture to advance their own interests. As part of efforts to aid the civilian population, Colonel Peres said the IDF was constantly seeking alternative methods. Thus, on Monday trucks laden with dairy products and chemicals to disinfect drinking water entered through the Karni crossing, which is not meant for goods transfer. 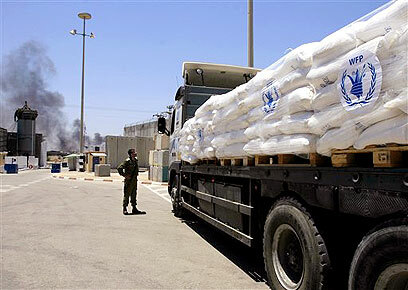 “Today we arranged more deliveries, despite difficulties that actually come from the Palestinian side,” he said. Monday 250,000 liters of diesel fuel, 50,000 liters of benzene, and 75 tons of cooking gas were delivered through the Nahal Oz crossing. Regarding medical supplies, Colonel Peres noted there was no absence. 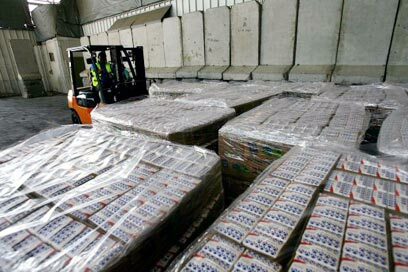 “We allow medical supplies and medicines to be delivered through the Red Cross. Today, for example, a truck full of medical gases entered – not that they are lacking but so that there will be more,” he said. See all talkbacks "IDF official: No humanitarian crisis in Gaza"